Hello everyone, Monday is here again I hope you all had a lovely weekend. Is it just me or has anyone else noticed that everyone is having babies at the moment? 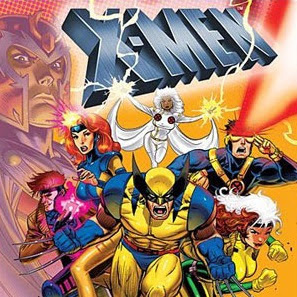 While I have no intention of a baby for a good while yet it has got me thinking about things which I enjoyed as a child and were a large part of growing up for me. Here are 9 things which take me straight back to being a kid. 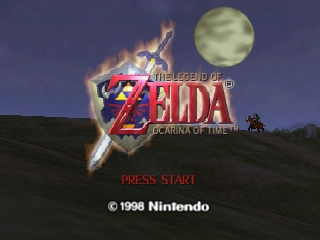 This game was such a large part of my childhood, while I loved playing outdoors a crazy amount of time was spent playing this game with my older brother. I am considering buying a Nintendo DS simply to play this game again in a slightly different way. I recently discovered this cartoon again and had to introduced Dan to it as it was so good. Plus the theme “song” is definitely the best theme song of all time. I'll leave a link to it here so you can hear its amazing-ness. This is an absolutely beautiful book I remember making my mum read it to me over and over again until she got fed up with it. It’s such a lovely story with beautiful illustrations. 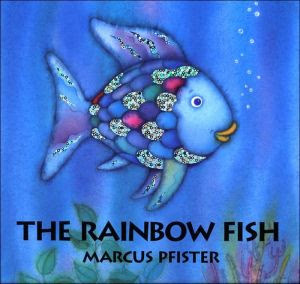 This was also one of my favourite books growing up. 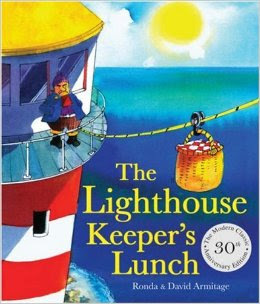 It was one in a collection of books about a lighthouse keeper and his wife. My school was lucky enough to have the authors Ronda and David Armitage visit and they signed my copy of this book. I was the happiest six year old in the world. 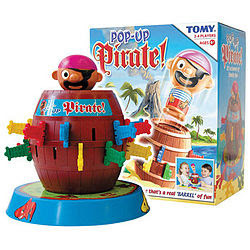 My brother and I loved this game and every Christmas it was pulled out until we (my brother and I) decided to dig up the garden with the little plastic swords. My mum was not happy. Every summer my friends from primary school and I would meet up and have a massive water fight in one of our gardens, coming back in absolutely drenched. It was amazing, sadly I don’t properly speak to anyone from my primary school any more but I may make my two best friends from secondary school have an epic water fight this summer, who cares if we are all 22? 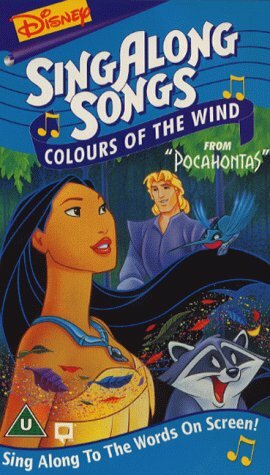 Long before the DVD I had a collection of nearly all the Disney films on VHS whenever I was poorly and off school (I used to get tonsillitis a lot when I was young) I would put one of these tapes on and make my Dad watch it with me repeatedly until I fell asleep. Oh my these were amazing, a collection of Disney songs with the lyrics, not that I needed them I knew them all by heart (still do) so you could sing along. I’m not exactly sure what these things are actually called but I would always get a dolls styling head that you could restyle her hair and makeup from a great aunt of mine. I would inevitably cut the doll's hair and draw on her in permanent marker so maybe that’s why I would always get one. I love thinking about the good times from my childhood and I’m lucky to have so many good memories from being a kid. 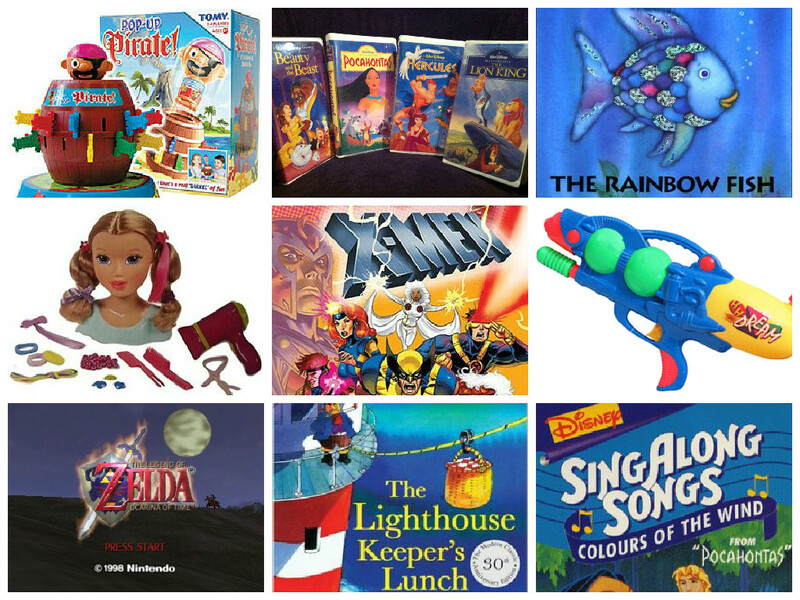 I hope you enjoyed this post, what things remind you of your childhood? YES! I LOVED playing Zelda (although I'm slightly older than you and played on my old school Nintendo haha) and all the Disney movies on VHS! Loved this gorgeous, hope you had a great weekend! I know they are such good games! I glad you enjoyed it lovely, have a great rest of the week! 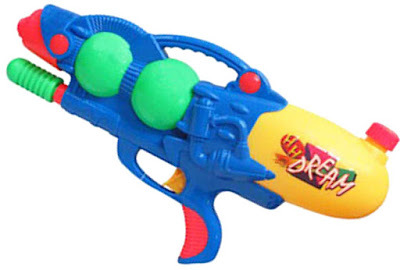 How I miss playing with water pistols! 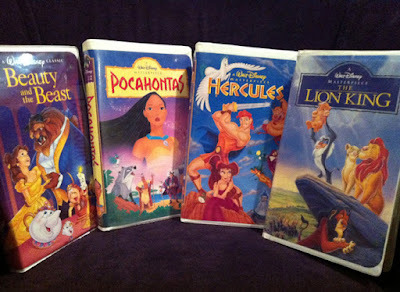 When I want to remember the happy years of childhood I watch cartoons, I love doing that.